Das Mensch mit den 1000 Gesichtern. Im Dreiländereck in Freiburg/Breisgau geboren. Studium in Tübingen. Seit 1988 in Berlin. 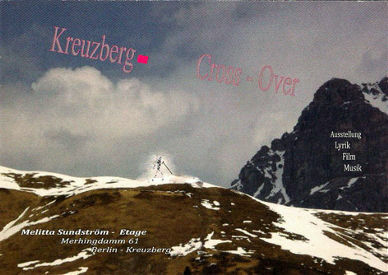 Freischaffender Künstler in den Bereichen Schauspiel, Chanson, Performance, Regie, Produktion und Autor. Auch Teamarbeit im Bereich Kultur und Organisation für das Goethe-Institut. 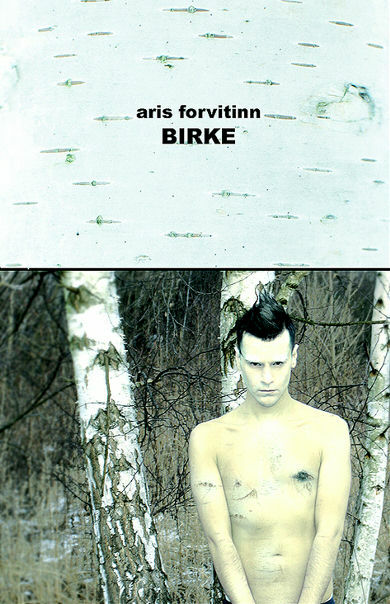 Birke-aris forvitinn painting exhibition by forvitinn"aris chantzopoulos" live audiovisual performance by the artist. This exhibition is based on the artist's inspiration of the “birch tree”, in german “birke”, along with its presence in Berlin. Using acrylics, charcoals, ink, mixed techniques, Forvitinn is creating a landscape where birches can been seen as the main theme, involving different kind of stories-fairy tales. Hybrids, half human-half birch tree figures, in their everyday habits, are placed in between those barks. Creatures of high sexuality behavior, curious, social, fierce, eccentric, aggressive quite much like nightlife in the streets of Berlin. Creatures just like the birch tree which is considered to be an aggressive tree, growing on behalf of other trees with a need to spread it’s seeds and with a unique appearance, could be also be seen as eccentric with an increased sexual behavior, a hipster in between the tree-family. Inspired by those trees often seen inside the city of Berlin Forvitinn has portrayed this unison between Berlin, sexual freedom and eccentricity in a fictional environment where the trees are always witnesses of Berliners actions. Thus, combined in this birch tree barktextile the everyday life and behavior, Humanity alongside Nature in Berlin, are shifted through the artists eyes into an imaginary surrealistic landscape. Paintings of the artist's personal archive can be seen along with the “birke” exhibition.